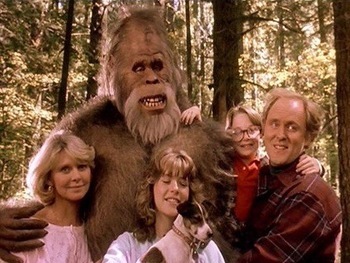 Today’s movie is 1987’s Sasquatch-centered family comedy: Harry and the Hendersons. 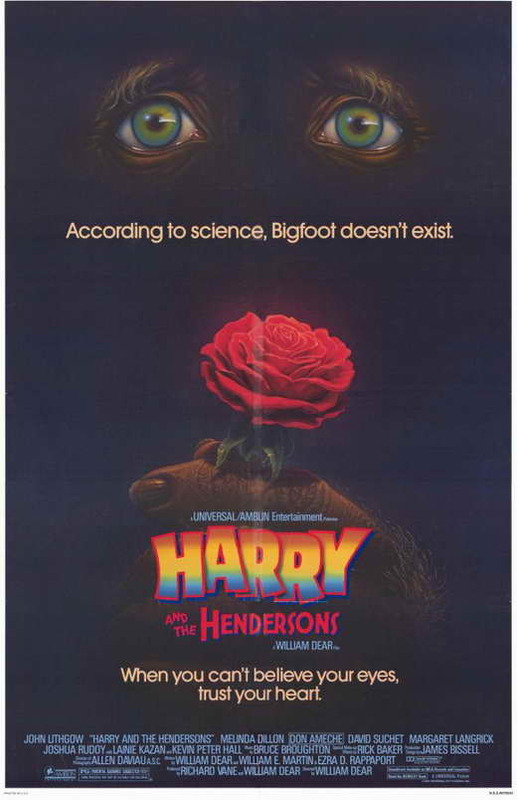 Harry and the Hendersons was co-written and directed by William Dear, who is best known for directing Angels in the Outfield, The Perfect Game, and If Looks Could Kill, as well as providing input on the story for The Rocketeer. The cast for the movie includes John Lithgow (Cliffhanger, Raising Cain, The Adventures of Buckaroo Banzai Across The 8th Dimension, Footloose, Blow Out), Melinda Dillon (Captain America, Magnolia, A Christmas Story, Close Encounters of The Third Kind), David Suchet (Wing Commander, A Perfect Murder, Poirot), Don Ameche (Cocoon, Cocoon: The Return, Trading Places), and M. Emmet Walsh (Blood Simple, Fletch, Critters, Slap Shot). The cinematographer for Harry and the Hendersons was Allen Daviau, whose other credits include Van Helsing, Congo, The Astronaut’s Wife, The Color Purple, E.T., and Empire of the Sun. Harry and the Hendersons was cut by Donn Cambern, who also worked as an editor on movies like Ghostbusters II, Twins, Time After Time, The Glimmer Man, The Cannonball Run, Easy Rider, and The Last Picture Show. The musical score for the film was composed by Bruce Broughton, who also composed scores for movies like Silverado, Tombstone, The Monster Squad, Stay Tuned, Baby’s Day Out, Homeward Bound: The Incredible Journey, and Lost In Space, as well as for television series like Dallas, Hawaii Five-O, and Gunsmoke. Rick Baker, the special effects master who has, to date, won seven Academy Awards (with five additional nominations), was the creature designer for Harry and the Hendersons. He ultimately won one of his Oscars for his work on the movie, and has claimed that the gigantic, lumbering Harry is his favorite of his many created characters. Speaking of the creature work for the film, the suit worn by actor Kevin Peter Hall in order to play Harry stood at well over 8 feet tall, making for an immense presence on set. While Harry and The Hendersons did not receive a sequel, it did spawn a television series, which ran for 72 episodes over 3 seasons, from 1991 to 1993. 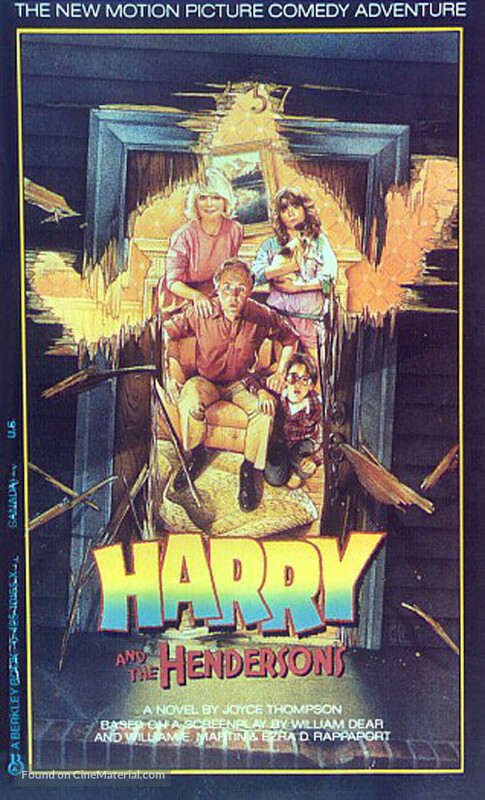 The series did not follow the continuity of the movie, however, as Harry is shown living with the Hendersons rather than returning to the wild as shown in the film. 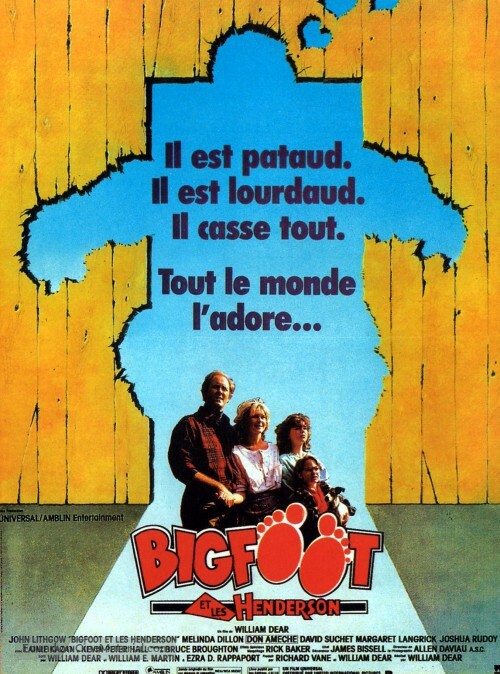 Harry and the Hendersons was released internationally as Bigfoot and the Hendersons. A number of promotional images with this alternate title can be found around the internet with a little bit of digging. Harry and the Henderson features a handful of characters who are obsessed with the hunt to capture or document a Sasquatch. 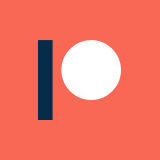 These characters fit the mold of “cryptozoologists,” people who study unconfirmed mythical creatures (with the assumption that they exist), and “squatchers,” who are essentially Bigfoot hunters. Harry and the Hendersons grossed just over $50 million in its lifetime theatrical run, making a significant profit on its production budget of $16 million. Critically, however, the movie had a mixed reception. Today, it holds an IMDb user rating of 5.9/10, along with Rotten Tomatoes scores of 44% from critics and 54% from audiences. If there is anything that must be said about Harry and the Hendersons, it is that the effects for Harry are incredibly impressive. 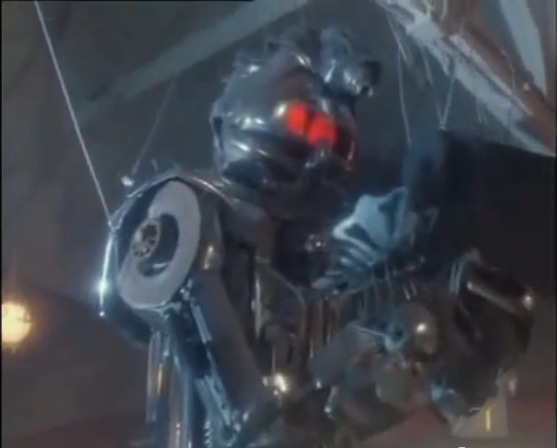 Even though it looks creepy as all hell, the intricate facial expressions displayed by Harry are almost unimaginable for a monster suit in the 1980s. Rick Baker absolutely outdid himself here. 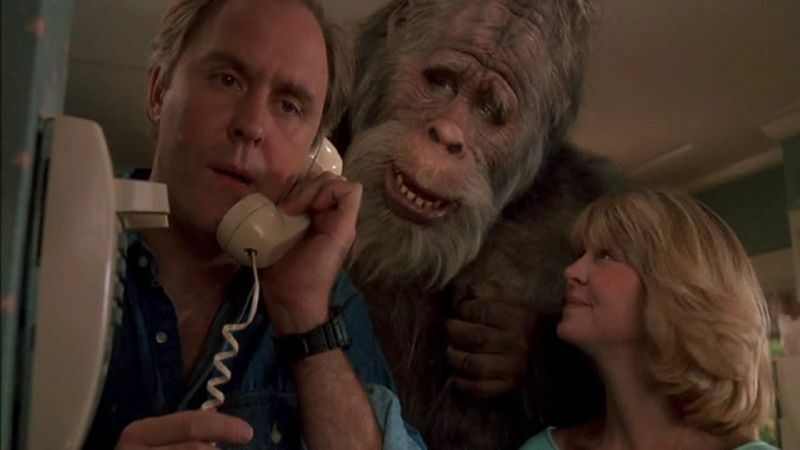 Beyond Harry, the big highlight of the movie has to be John Lithgow: I can’t think of a single performance of his career in which he hasn’t been entertaining in one way or another, and Harry and the Hendersons might be his pinnacle of his scene-chewing prowess. The guy is just a delight throughout the movie, and gives it more energy and passion that it had any right to deliver. The humor as it is written is a bit hit or miss, but Lithgow manages to elevate it at every turn. Without his presence, this movie might have been unwatchable. The biggest issue I have with the movie, apart from the aforementioned comedic writing issues, is its tendency to get preachy: the message of nonviolence is really over the top, to the point that it almost feels like a PSA at times. That said, it isn’t terribly distracting, and kind of fits with the overall silly tone of the movie, but I would be remiss not to mention it. Overall, I think that Harry and the Hendersons is 100%, grade A cheese. It certainly isn’t good by any conventional standards, but it is a true product of its era, and is worth watching for that aspect alone. Lithgow and Harry definitely solidify it as a recommendation for bad movie fans, but I think it is worth a watch for anyone, just because of how much it has seeped into cultural crevices over the years. It is also almost completely inoffensive, like a bumper car lined with plush animals, so almost anyone could enjoy it.